What is a guardianship and do I need an attorney in Orange County? Orange County - Do I need a personal injury attorney for my auto accident or can I represent myself? What is Guardianship in California? Do I Need an Attorney? FAQ: What is a guardianship and do I need an attorney in Orange County? Legally, a guardianship is a legal relationship between two people: a guardian and either a child or an adult, called the protected person There are different kinds of guardianship: guardianship of a minor child, guardianship of an incapacitated adult, and guardianship of an estate. Guardianship of a minor child does not sever the legal rights of an adult or of a minor child’s parents, but it grants rights to a temporary guardian of a minor child, or it grants certain rights to a guardian of an adult. Guardianship of an incapacitated adult does not sever the rights of the adult, but it can infringe upon them. Guardianship of an estate is usually temporary when it comes to children, but can vary when it comes to adults. We’re here to answer some common questions about guardianship of both minor children and incapacitated adults. However, nothing (even things you find on an attorney’s website) can replace actual legal advice and information from a trained family lawyer. What is Guardianship of a Minor Child in California? 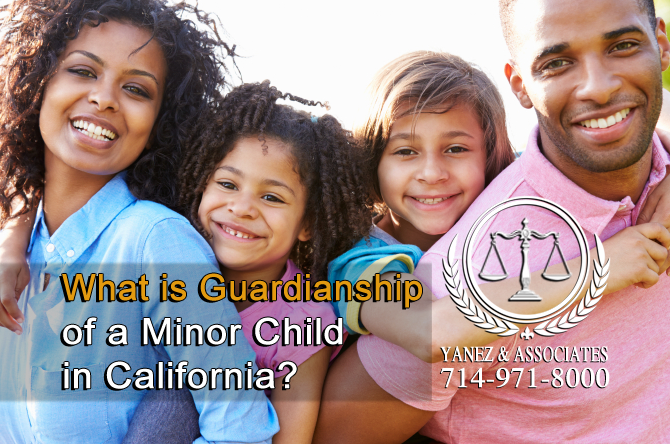 What exactly is Guardianship of a Minor Child in Orange County, California? When guardianship of a minor child is granted to a guardian, it means that the guardian, who is a person other than the child’s parents, is granted temporary rights to custody of the child, or that the guardian will manage a child’s estate (property). When a guardian is granted custody, he or she can provide the child with health insurance, enroll the child in school, and has all of the legal rights granted in the custody order. In addition to the rights granted to a guardian, a guardian also takes on certain responsibilities regarding the child. A guardian needs to support the child with food, clothing, shelter, safety, physical and emotional support, medical care, education, and anything else the child may need to promote and protect his or her safety and wellbeing. A guardianship is not the same thing as an adoption, because unlike in an adoption, it does not sever the parental right of the parents. Although a guardian may be granted custody of a child, the guardian’s rights are not the same as the rights of a birth parent’s rights, while the rights of an adopted parent are the same as those of the birth parent. Even if the child is in the care and custody of a guardian, parents can usually still have contact with the child during the guardianship, and they may be awarded full rights back if the court decides that it is in the child’s best interests. The rights of an adopted parent will very rarely be reversed, and birth parents do not always have the right to spend time with the child. If the court does not decide to grant rights back to the parents, the guardianship will usually end when the child turns 18. During a guardianship, the guardian will usually be supervised by the court. In an adoption, the court backs away after an initial period and adoptive parents are not supervised. Why is Guardianship of a Minor Necessary? Rights will be granted to a guardian if and when the parents of the minor child are either unwilling or unable to care for the child and protect his or her best interests. The court or the parents may request a guardianship. If either one or both parents are in the following situation, a guardian may be appointed. • If there is another reason that the parent is unable or unwilling to care for the child. What is Guardianship of an Incapacitated Adult in California? 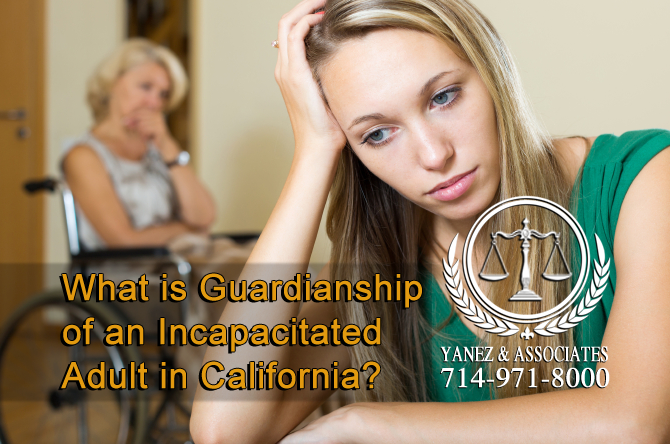 I need help understanding, what a Guardianship of an Incapacitated Adult is in California? When guardianship of an adult is granted, the idea is to protect as many personal rights as possible, but to protect the protected person by allowing the guardian to help with certain important decisions. Who Can be a Guardian of an Adult? The court will appoint a guardian for an adult who needs one. Usually, a guardian is a family member or a friend, or a person chosen by the court. There is no special training required to become a guardian, but a guardian will need to protect the protected person and make intelligent decisions on his or her behalf. Why Does an Adult Need a Guardian? Adults are typically placed in the care of a guardian if and when they are no longer able to make healthy decisions regarding their own person and property that are in their own best interests. A person may also be placed in the care of a guardian if he or she is overly trusting, prone to fraud, or susceptible to external influence. What Does a Guardian do for an Adult? A guardian will be granted certain rights and responsibilities regarding the protected person. Depending on the specific person, the rights granted to the guardian may vary. However, a guardian may be responsible for the following, in addition to other duties and responsibilities. • Other duties, rights and responsibilities may also be included. Like the guardian of a minor child, the guardian of an adult may be required to provide the court with a similar report of activities, data, and information, as well as any suggestions for the continued care of the adult. Generally a protected person will have to give up some rights when a guardian is appointed. Some rights that might be affected include the right to select his or her own residence, providing consent for medical care, obtaining a driver’s license, owning or possessing weapons, marrying, voting, or filing a lawsuit. However, a protected person does have the right to due process, so he or she must be notified of all legal actions regarding the appointment of a guardian. He or she can be involved in the trial, including all hearings, and has the right to hire a lawyer and take part in the evidence presentation and examination of all witnesses during the guardianship case. What is Guardianship of an Estate in OC California? Guardianship of an estate can occur when either a minor child or an incapacitated adult has property, called an estate. Because neither minor children nor incapacitated adults are legally allowed to manage their own estates, a guardian is appointed to do so on their behalf. Sometimes, guardianship of an estate is temporary. At 18, a minor child becomes an adult and can take ownership of his or her own estate. An adult may be incapacitated temporarily, especially if incapacitation was due to a health issue, and so guardianship may also be temporary. The guardian of an estate is responsible for managing finances, and responsibilities can include the following. • Reporting to the court, including all activities, information, data, and reasoning behind decisions. A guardian is often appointed to manage an estate when a person inherits something valuable. Especially for children, a guardian is not usually necessary to manage an estate unless he or she inherits a home or a lot of money. If you think that a guardian may be necessary for a child’s estate, contact a lawyer to discuss your options. Sometimes when a child is granted a guardian for custody reasons, that same guardian may also be the guardian of the child’s estate. If you have questions about the appointment of a guardian, whether it has already happened or it will be soon, contact a lawyer. When it comes to your rights, the rights of a child, of a parent, or of an adult, the law favors autonomy and a child’s best interests, as long as it is safe and healthy for all involved. At Yanez & Associates, we offer free initial consultations. Schedule yours today, and discuss your guardianship issues with a family lawyer. 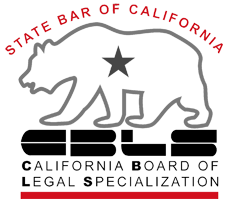 1 What is Guardianship in California? Do I Need an Attorney? 2 What is Guardianship of a Minor Child in California? 2.2 Why is Guardianship of a Minor Necessary? 3 What is Guardianship of an Incapacitated Adult in California? 3.1 Who Can be a Guardian of an Adult? 3.2 Why Does an Adult Need a Guardian? 3.3 What Does a Guardian do for an Adult? 4 What is Guardianship of an Estate in OC California? Conservatorships and Guardianships in Orange County, Do I Need an Attorney?, guardianship, Guardianship of a Minor vs. Adoption, Irvine Orange County CA Guardianships Attorney, Orange County Guardianship Attorneys, Orange County Guardianship Lawyer, What Does a Guardian do for an Adult?, What is Guardianship in California?, What is Guardianship of a Minor Child in California?, What is Guardianship of an Estate?, What is Guardianship of an Incapacitated Adult in California?, Who Can be a Guardian of an Adult?, Why Does an Adult Need a Guardian?, Why is Guardianship of a Minor Necessary?